Home › The Loop › Goal Setting: What Is Your Direction in 2013? 2013 is here. 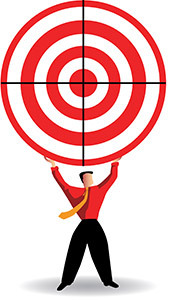 The topic of goals and objectives arises frequently this time of year. Many organizations (and individuals) have begun to update their strategies and create new goals for the New Year, have you? Hopefully you have, and if you haven't, well – you may want to add it to your 'to do' list. So what are goals and why are they important? A goal represents the "to be" state, not the action of getting to that state. Goals are the most important outcomes that need to be accomplished to achieve and maintain the vision of the organization. 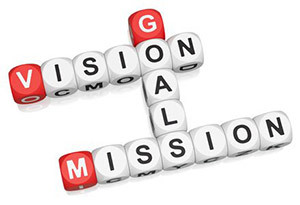 Goals are derived from the vision statement and must be addressed through the objectives of the organization and establish the long-term direction for the work within the organization. In short, goals are the desired end result. As Stephen Covey says, it helps to "Begin with the end in mind." Goals should also decide the results that are wanted/needed and set a time frame for achieving results. Most importantly, goals must build in accountability and consequences for not achieving them. Performance measures are the best indicators of success in achieving goals and outcomes; they should be relevant and practical. Address improvements in performance of mission? Address individual improvements in performance? Tie to the strategic objectives? Capture the requirements of external and internal customers? Emphasize the critical aspects of the organization? Most leaders know that an effective strategic plan must contain measurable high level goals and objectives, though goals should not only be high level organizational in nature. I am often asked by leaders who have a developed strategy, "why do my people need their own goals – we already have high level strategic organizational goals they are expected to meet?" My reply, goals tell you as an organization where you want to be and what you want to achieve – they do the same for your people. Employees must have goals and objectives, not only to help support the organization in achieving its strategy, but also to see how the actions they take in executing their roles and responsibilities directly contribute to the broader organization mission and vision. In developing organizational and employee goals, it is important to ask, "Are we measuring the right things?" Program, departmental and individual employee goals should align to and support organizational goals and objectives. If the workforce cannot see themselves and their actions in strategic goals, then your organizational goals aren't as likely to succeed. Personal goals, incentives, and competencies should be aligned with the strategy. Without individual goals tied to specific roles and performance, it is difficult for employees to gauge the impact they are making through their work. It is also more difficult for them to see the WIIFM (what's in it for me) for achieving high performance - without goals, it proves difficult to measure, evaluate and reward individual performance. Clear communication of goals and priorities is necessary for people to see how their goals are contributing to organizational success and why they are being measured and evaluated against them. That creates a win/win for both the employee and the organization. For goals to truly increase accountability, they should include baselines. Baselines are time-lagged calculations which provide a basis for making comparisons of past performance to current performance. A baseline may also be forward-looking, such as when you establish a goal and are seeking to determine whether the trends show you're likely to meet that goal. Measuring performance at a specific time establishes a baseline and provides the starting point for setting goals and evaluating future efforts and overall performance. Does the goal support the mission? Does the goal reflect a primary activity, a strategic direction, a strategic issue or a gap in service? Is the goal challenging, but still realistic and achievable? Is there at least one key goal for each program/subprogram, but not more than can be reasonably managed? Is the goal important to management? Is the goal important to the employee? Is the goal important to customers and stakeholders? This article was originally posted on the Tolero Think Tank blog and has been reposted with permission.